This post originally appeared on LinkedIn via Mike Duchen. Senior year of college rocks. Life is good, parties are better, and classes are a great way to kill time between bowling night and afternoon golf with friends. Then something suddenly happens. This “something” rears its ugly head around Thanksgiving break, quickly builds momentum into the holidays, and unfortunately isn’t going anywhere fast. This “something” manifests as constant phone calls from your parents and your peers bombarding you with the loaded question, “what are doing after graduation?” Sheer panic over the unknown and how best to start your career quickly sets in. I suggest all recent graduates avoid doing what I did. Like many fresh grads, at the time I had no idea what I wanted to be or do after graduation. I panicked and went to work down in Guatemala. I loved my time in Central America and working along side my Guatemalan colleagues, but the truth is that I went down there because I didn’t have a clue about many other job opportunities. At the time, $500 a month sounded a lot better than $0. I knew that I wanted to help people, but I quickly realized that I didn’t want to do it so far from all my family and friends. Fast forward six years, and the fresh grad opportunities landscape has changed immensely. Now the best way to see if you want to do something, such as working in sales, is to go experience it through educational programs or bootcamps. These types of programs, including our free online sales bootcamp , give students valuable, tangible skills (I’m sorry to report that no one gives a sh*t about your undergrad econ degree in the startup world), and many programs are located in great places that are rapidly growing and offering career opportunities. What I’ve discovered and what I want to share with recent grads is that you don’t have to go all the way to Guatemala, for example, to try something new. More importantly, you also don’t have to have a monster savings account or only work out of expensive cities like San Francisco or New York to get access to great tech communities and companies. With all these post-graduation options in mind, I encourage recent grads to take a closer look at Detroit, Seattle, and Boulder when evaluating where to launch your career. 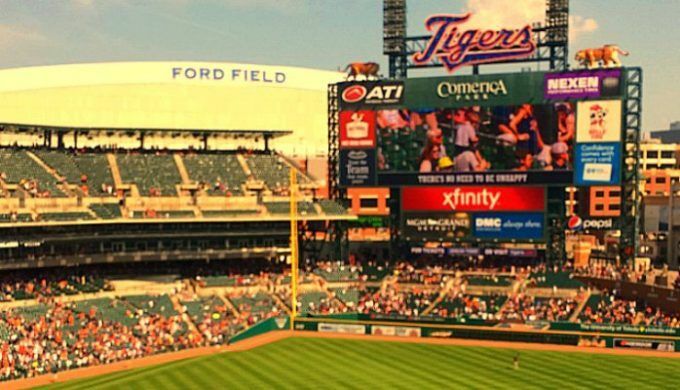 Not a Tigers fan? No problem. Detroit is rapidly evolving and quickly emerging as one of the country’s great startup communities. Techstars Mobility recently finished their first program, and there are various startups popping up in the area including Y-Combinator-backed agricultural startup FarmLogs located in nearby Ann Arbor. Detroit’s easy-to-access location and low cost of living also make perfect sense for new grads seeking both affordable rent and access to nationally recognized startups, VCs and accelerators. If you are interested in anything tech- related in the Detroit area, be sure to follow Ted Serbinski since he has been a key leader rebuilding the Motor City’s startup community. The icing on the cake is that Midwestern people are probably the most genuinely kind people I’ve ever met (albeit I’m biased since my dad is from Iowa). If you like startups, coffee, and being around an eclectic group of people, Seattle is the place for you. High growth startups like Bizible have their roots in Seattle and the data-driven startup Mattermark explained why they chose Seattle as their second office to build out their engineering team. Seattle and SF companies are not only geographically close, but there are many synergies between these West Coast cities. San Francisco is great, but I’d suggest that fresh grads start in Seattle, skip some of the Silicon Valley unicorn B.S., and get to know the people in the close-knit Seattle startup community; then decide if a bigger hub such as NYC or SF makes sense for your career. If you love the outdoors, great people, and want to be part of one of the fastest-growing tech startup communities in the country, put Boulder at the top of your list for post-graduation options (I recently shared a detailed post for why you need to visit Boulder.) Boulder’s community support for young people trying to get into startups and tech overall is unmatched. Boulder also makes perfect sense for another very important reason: transitioning into the working world after graduating is super challenging. Boulder boasts a great mix of professional growth opportunities and vibrant social life with plenty of bars and fun events from the Hill to Pearl St.